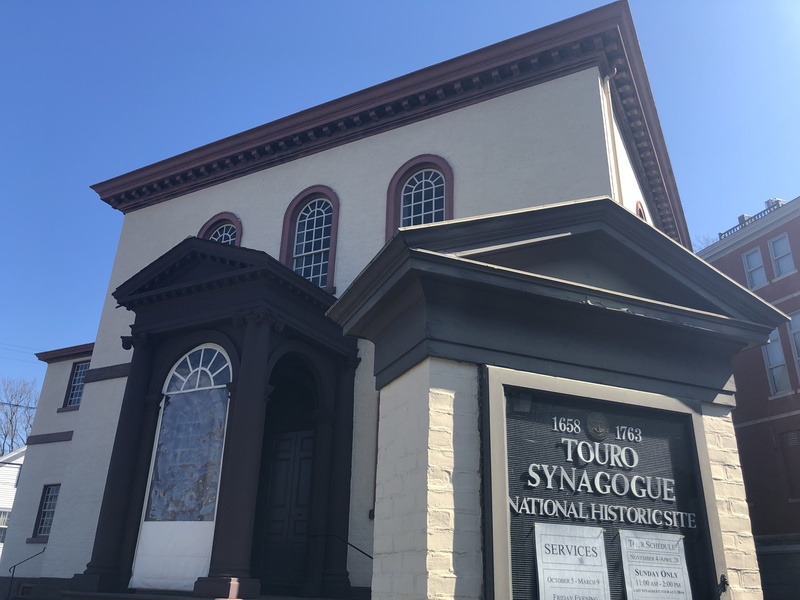 A six-year court fight between America's oldest Jewish congregation and Touro Synagogue in Newport, the country's oldest synagogue, is finally over. A court ruled that the New York congregation owns the Newport synagogue, and the U.S. Supreme Court declined to hear an appeal. It's a head-scratching conclusion if you don't know the history. Around that time, a lot of Newport’s Jews moved to New York City. Many joined Shearith Israel, a congregation on the Upper West Side that had been around for decades. (Today it’s the oldest Jewish congregation in America.) Shearith starts hearing that this synagogue in Newport had fallen into disrepair. So the New York congregation steps in. They take over the empty synagogue and look over it for years. Until later that century, after the Civil War, Jews come back to Newport. A new congregation begins, calling itself Jeshuat Israel. And in 1903, Jeshuat signs a lease with Shearith Israel, and Jeshuat begins worshipping at Touro as a tenant. Fast forward a century. It’s 2011. Jeshuat Israel wants to start an endowment, to keep the synagogue around for years to come. They have a plan to raise money by selling these 250-year-old silver bells. These bells were designed to adorn a Torah scroll. They were crafted for the synagogue long ago by Myer Meyers, the famous colonial silversmith who once apprenticed for Paul Revere. Jeshuat Israel arranged to sell the bells to Boston’s Museum of Fine Arts for $7.4 million. But there’s a problem. Shearith Israel, in New York, says Jeshuat doesn’t own the bells, because they don’t own the synagogue. The dispute ends up in court, and eventually, in the First Circuit, a judge rules in favor of Shearith Israel. His reason? In part, it was the 1903 lease. Judge David Souter -- yes, that David Souter, ruling as a “visiting judge” -- rules that the lease says Shearith is the owner, Jeshuat is the tenant, and so the bells belong to the congregation in New York. Jeshuat Israel petitioned the Supreme Court to revisit the ruling, but last week, the high court declined. So Jeshuat is stuck with the ruling. As for the bells, they’re on loan at the Museum of Fine Arts. They’re on display now.